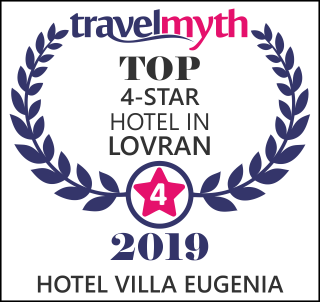 Once a property of Austro-Hungarian aristocracy, today a modern boutique hotel located in the heart of Lovran, among aromatic pine trees and sparkling clear blue waters. Smell the aromatic herbs in our Mediterranean garden, taste traditional and modern dishes and feel the bliss after sauna and relaxing massage. Whether you wish to enjoy the trails of natural parks and reset your mind with the soothing sounds of waterfalls, peacefully read your book on the beach, discover medieval historical sites or simply indulge yourself in the amazing cuisine and wine tasting, you have found your place. With a pool table. And a sauna. When it comes to historic events and gatherings, we are your first and best choice. Good food, good mood and a professional team. Always by your side. There is even a poll table for you to try to impress the crowd.